A passport can conceal or reveal, open or close. Who knows how the true-blue British passport will be treated after Brexit, but right now Russian travellers are likely to be attracting more than average scrutiny at border control. And none too many smiles. Is this another fake diplomat on a hacking expedition? A fumbling assassin with Wikipedic knowledge of local tourist attractions? This ‘red-skinned pass’ is a document of provocation and pride in a full-bodied punchy poem which has many different translations. But Alec Vagapov’s version is the one in the link David sends. One click leads to another. And what a story. 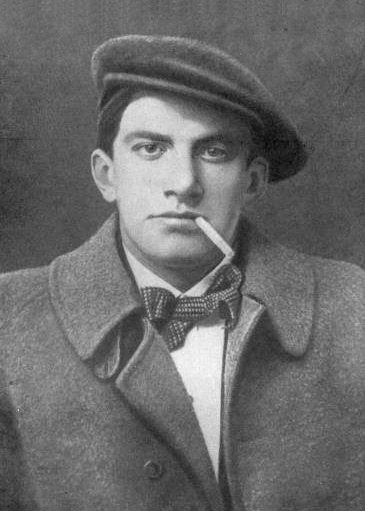 Mayakovski (also spelt Mayakovsky, take your pick, I prefer the look of Mayakovski) was a celebrated poet, playwright, artist and actor of the early Soviet era. 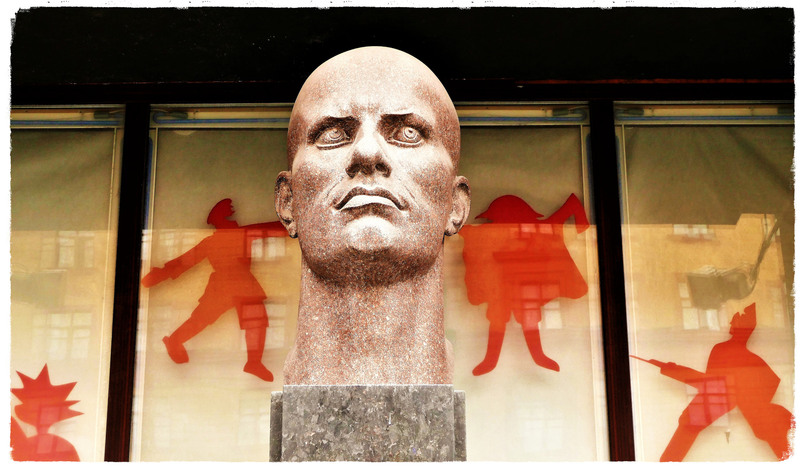 Unlucky in love, increasingly at odds with the Soviet state, always loyal to Lenin, he shot himself through the heart in 1930 at the age of 36. Despite his turbulent relationship with the politburo, the poet’s funeral was attended by more than 150,000 – only Lenin and Stalin have stirred a greater display of public mourning. So far. For a poet who put absolute trust in language, the Soviet doublespeak that emerged a decade after the revolution must have been unbearable. ‘Freedom’, a word that rang so true in 1917, was rapidly losing its meaning under bureaucratic collectivism, a more precise term for ‘socialism’. And, certainly, bureacracy is targeted from the start of The Poem of the Soviet Passport. I’d root out bureaucracy once and forever. I have no respect for formalities. The Soviet Union passport system (internal and external) is also a complicated story. But as the holder of the red passport for foreign travel, Mayakovski covered a lot of ground, starting in 1922 with a trip to Riga, Berlin and Paris. In 1929, the year before he died, he travelled in Europe and then went west, visiting Mexico, Cuba and the USA. In that same year he wrote The Poem of the Soviet Passport, with its revealing caricatures of different national identities: the British Lion …taken with special regard; the USA met with exorbitant honor; the Polish passport, however, ‘makes them stare like a sheep might stare at a Christmas tree’. By mid 1930s the Soviet government had closed its borders. Travelling to capitalist countries was no longer possible to all but an inner circle of the People’s Commissariat and handpicked artists. Mayakovski, citizen of the Soviet Union, for all his earlier revolutionary zeal, would probably not have been one of them. The maze of compartments and halls. Hand in my red-skinned pass. While others are treated as mud. Are taken with special regard. Were taking a gift of money. And other sorts of aliens. Into the hands of his majesty. Ready to serve me for free. The cop looks at him inquiringly. A citizen of the Soviet Union.